January - the one month of the year when I think it's perfectly acceptable to hibernate as much as possible. It's cold outside, it's not light until 8am and it's dark again by four. You can't go anywhere without donning lots of layers and it seems to take much longer to get to places when the weather is dark, freezing and wet. It's so much easier to stay in but it's also very easy to stay in too much and get down in the dumps. 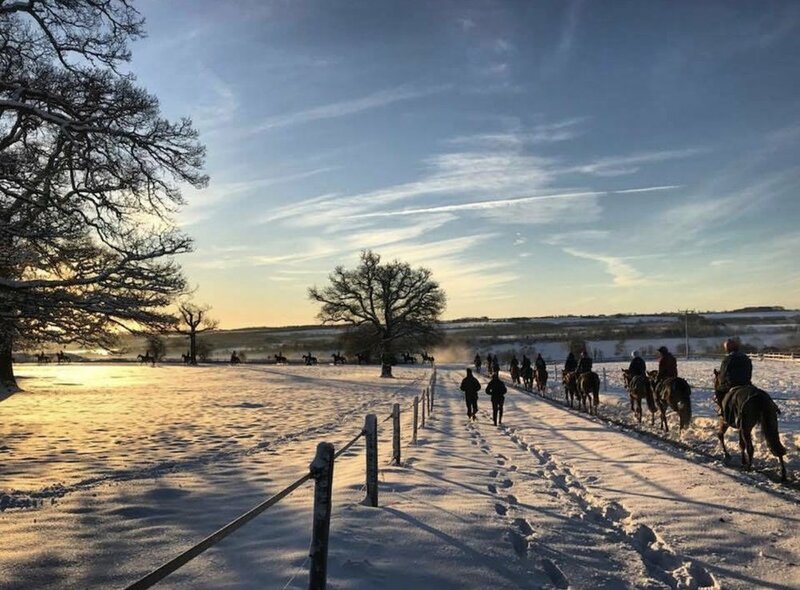 I think it's much better to embrace the season and make the most of what it has to offer with bracing walks in the countryside followed by cosy get togethers and meals, indoors by the woodburner, with friends and family. Denby Pottery has been making tableware for over 200 years so they definitely know what they're doing! And it's always a pleasure to serve food to your guests on good quality crockery - it makes your guests feel more welcome and special. 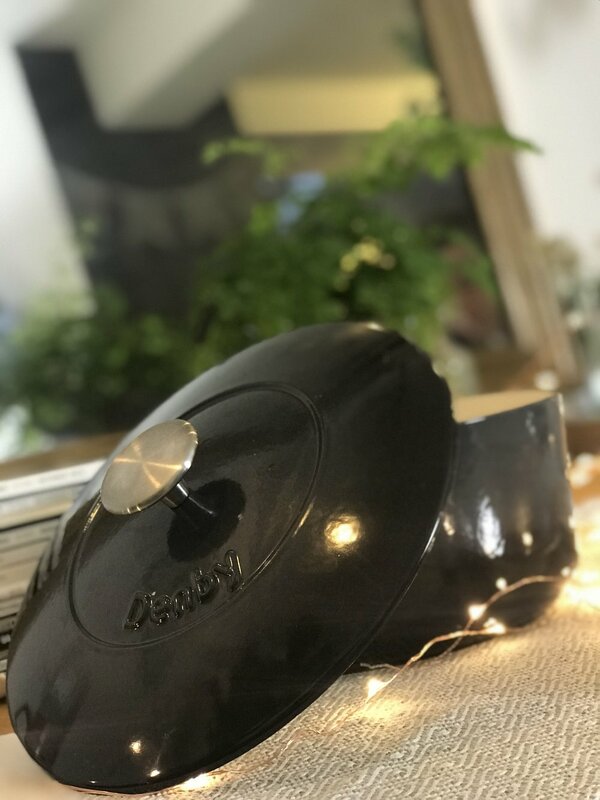 Quality crockery like Denby also helps to elevate the look of the food to the next level - always useful when you're cooking is as average as mine! I tried the Denby Natural Canvas Range and I love it's elegance and simplicity. It also mixes and matches with all of our other crockery and glassware. When we get back from our walk, usually cold and wet, it's really preferable to have dinner waiting with no further effort needed and the best way to achieve this is by leaving a casserole cooking slowly in the oven. I've been using the Denby 'Halo' 26cm Cast Iron Casserole to cook chicken casseroles in the oven while we're out. Left on a low heat for a few hours, this cast iron casserole dish cooks the food perfectly and then keeps it hot on the table while you're serving up (and serving up seconds, hopefully!). It's good looking enough to be left out on the dining table. Here's one of my recent successful receipes - Coq Au Vin. It serves six and can all be thrown in the cast iron casserole dish and cooked slowly on a low heat in the oven for three hours. 2 Rosemary sprigs, 2 Thyme sprigs. Fresh air, good food and good company really are the perfect way to keep the winter blues at bay and Denby make it both beautiful and easy with their good looking but practical tableware.